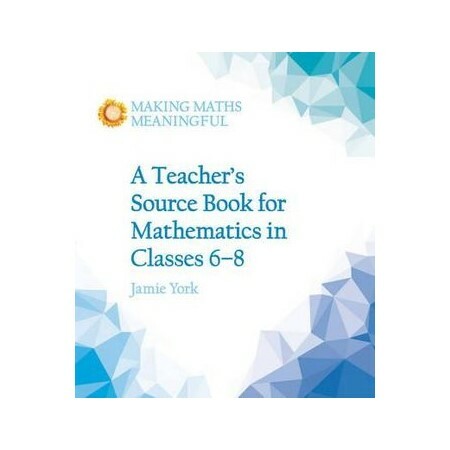 Experienced maths teacher and consultant Jamie York believes that a love of learning comes through the teacher, so his books are committed to supporting teachers in developing their classroom skills and to fostering a love of maths in their students. Unlike conventional maths textbooks, his books are not full of fancy graphics and contrived ways to make maths fun. Rather, they: -- focus on the essentials, so teachers aren't overwhelmed by endless lists of required materials; -- are genuinely interesting and challenging, sparking students' enthusiasm for learning maths; -- are developmentally appropriate to the age of the child, thereby encouraging inner mathemetical awareness and thinking; -- favour depth over superficiality, to avoid teaching blind procedures to solve meaningless problems. Note that the Floris Books editions of Jamie York's books have been completely revised for UK and European notation, language and metric systems. They are also suitable for use in South Africa, Australia and New Zealand. This teachers' resource book for Classes 6 to 8 provides a direct and logical approach to teaching 12 to 15-year-olds maths. Each class level and topic provide numerous tried and tested examples and explanations. The Source Book can be used in conjunction with the specially-developed workbooks for Classes 6 to 8. The book includes: Class 6: fractions, decimals, percents, mental maths and maths tricks, divisibility, casting out nines, exponents and roots, prime factorisation, converting repeating decimals to fractions and more. Class 7: the metric and imperial systems, percents, rates, ratios, irrational numbers, the square root algorithm, basic geometry and more. Class 8: Pythagorean Theorem, exponential growth, proportions, area and volume, dimensional analysis (unit conversions), basic algebra skills and more.